You are here: Home / Business Development / What the Heck is Customer Development? The term “customer development” has been floating around for a number of years now, although it seems to have gotten more play in the last couple. Regardless, it’s one of the most common buzzwords added to the technology business vernacular in recent times. I lump it in the buzzword box with “agile”, “lean-(anything)”, “growth hacking”, “software-defined” and many more which you can probably add to the list. Most of these terms really don’t represent anything new; they are “re-brands” of concepts that have existed since the beginning of the technology business and even marketing itself. The term Customer Development was coined by a gentleman by the name of Steve Blank. The concept details a scientific approach that can be applied by startups and entrepreneurs to improve their product’s success by developing a better understanding of their consumers. Primary to the concept is a balanced relationship between developing a product and understanding the customer. Customer discovery – Focus on understanding your customers, their problems, their preferences and their buying behavior. Customer validation – Develop a replicable sales process ― an essential step in scaling a business. Customer creation – Generate demand, and identify and tease out potential customers. Company building – Focus on building your organization to scale and executing the business plan. Mr. Blank in an accomplished individual with a great background, there is no questioning his bona fides. I’m also not questioning his methodology, which I believe is based upon very sound and time-tested concepts. As I alluded to above, my beef with the term “customer development”, as well as most of the other buzzwords that fly around the tech business is that they’re almost always a restatement of some well-known concept, with only a slightly different spin in terminology. Usually this allows a bunch of people to write books and charge huge fees by giving seminars/consulting with companies. There’s nothing wrong with that –everyone needs to make a living. But I do think the “buzzwording” of our business often deflects attention from those time-tested basics of business–in this case, the basics of high tech marketing and management. In reality, the term customer development and the basic methodology it espouses is nothing more that good old fashion high tech startup business management. All of it is good sound advice–but again, nothing new. It proposes early and often startup market research combined with product planning validation points, product marketing/promotion validation points and proof of a repeatable sales model. All done iteratively before going on to the next steps and certainly before scaling up the overall company infrastructure. Just happens to be the stuff that investors and savvy founders have practiced for years. But I guess the original terminology isn’t good enough anymore–or won’t sell enough books. So now we get “customer development” and practically EVERYTHING has become “lean”. Call it what you will — but do it! I want to stress one more time that I’m not arguing about the basic concepts defined in the “Customer Development” methodology. 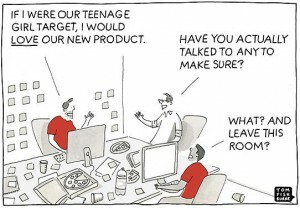 I believe that they capture some of the finer points of building a startup and startup product marketing in particular. Startup software and hardware companies–particularly those headed by management teams without a strong marketing background and especially those with strictly technical backgrounds–make serious mistakes all the time which can be avoided by using these concepts. 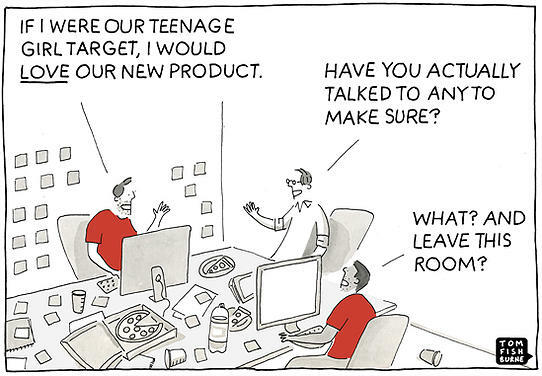 So I agree with the customer development premise; it just rubs me the wrong way when people re-label sound, basic business tenets and claim they’ve invented something new. Maybe because we’re all about invention and innovation as an industry we feel the need to create and utilize new terms as well. But I just don’t like it. Call me an old school, curmudgeonly, cynical, or whatever you’d like. What’s your feeling on customer development–am I all wet? I’m sure many new age business gurus and adherents will disagree with me and tell me why. Post a comment and tell me why I’m wrong. My personal pet peeve is the idea that “Innovation Accounting” is something new. Financial Analysts have used a penetration and utilization model to convert non-financial metrics in to a revenue forecast for quite some time now. The Lean Startup seems to think that this is something new. Most startups don’t always have a good idea of the market size (penetration) so they just focus on user metrics (utilization). Accounting and Finance are two different functions and they seem completely unaware of what Finance does other than help with with their budgets. Thanks for the addition, Scott. One I wouldn’t have known about but definitely fits the pattern.